For Chinese companies already anxious about tariffs, this week’s announcement could add to worries that U.S. customers might take their business elsewhere. Orders halved at Jiangsu Pomlead Co., a Chinese manufacturer of aluminum wheels based in the eastern city of Lianyungang, after the Trump administration first proposed the tariffs in July, said international trade manager Song Chengcheng. Mr. Song said he was looking into shipping products via South Korea to skirt the tariffs. Even so, Pomlead has assured its 300-worker staff that there won’t be layoffs. U.S. buyers have no choice but to stick with the company, Mr. Song said, because few other global suppliers can produce parts of the quality American auto makers require. There is already a 2.5% U.S. tariff on imported Chinese auto parts. 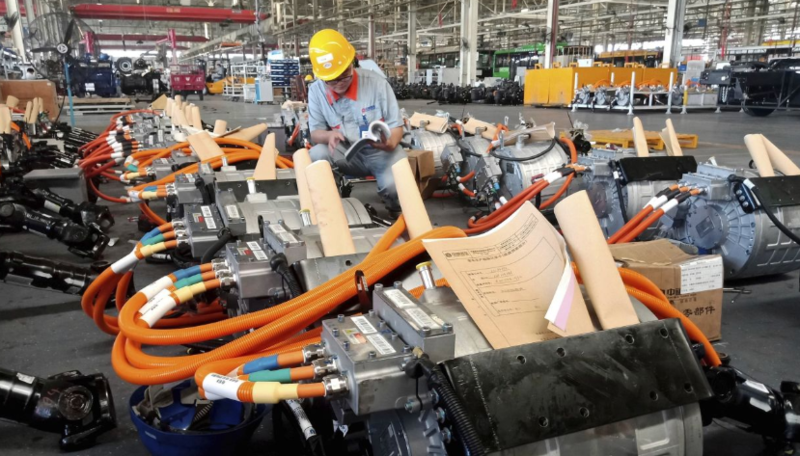 Adding even a 5% tariff on top would seriously harm businesses that already existing on wafer-thin margins, said Andy Zhou, foreign trade manager at Zhejiang Huagong Automobile Parts Co., before the latest round of tariffs were announced. But Mr. Zhou said his business, which makes pumps for oil and coolant systems, operates on relatively long-term contracts, as is common in the auto supply chain, meaning his customers need to give 12 months’ notice to negotiate price changes. While Huagong is insulated from the impact of tariffs until mid-2019, Mr. Zhou said his U.S. customers will see costs rise immediately. The levies will hit not only Chinese manufacturers but also companies with manufacturing operations in the U.S. that depend on those parts makers or that build parts in China themselves. Columbus, Ind.–based engine manufacturer Cummins Inc. builds engines exclusively in China to meet local demand and because it is the only place where some specialized parts can be sourced. More than 10,000 of its Chinese-built engines are exported to the U.S. each year, out of some 250,000 engines produced at the plant annually, the company says. Cummins estimates that, altogether, the tariffs the Trump administration has imposed so far will cost the company $100 million in direct and indirect expenses this year. “We understand there are issues we need to address with China to create a level playing field, but we don’t think unilateral tariffs or a trade war are the right way,” said Jon Mills, a Cummins spokesman. China accounted for more than a quarter of the company’s $20.4 billion in sales last year. U.S. parts suppliers are especially vulnerable to tariffs because they typically buy components from China to supply U.S. auto makers, which won’t easily accept price increases, said Catherine Karol, an attorney who represents suppliers for Detroit-based law firm Butzel Long. “Auto suppliers are caught in the middle. They’re whipsawed by this,” Ms. Karol said. Lobbyists for auto-parts manufacturers in the U.S. have opposed the broad-brush tariffs, urging the Trump administration to take a much more targeted approach by using anti-dumping duties instead. “This overall blanket approach is going to cost consumers” in the form of higher prices, said Ann Wilson, senior vice president at the Washington-based Motor Equipment & Manufacturers Association. Steel and aluminum tariffs are already squeezing suppliers, and the latest levies on Chinese-made goods will only exacerbate profit pressures in the industry, she said. —Lin Zhu contributed to this article.